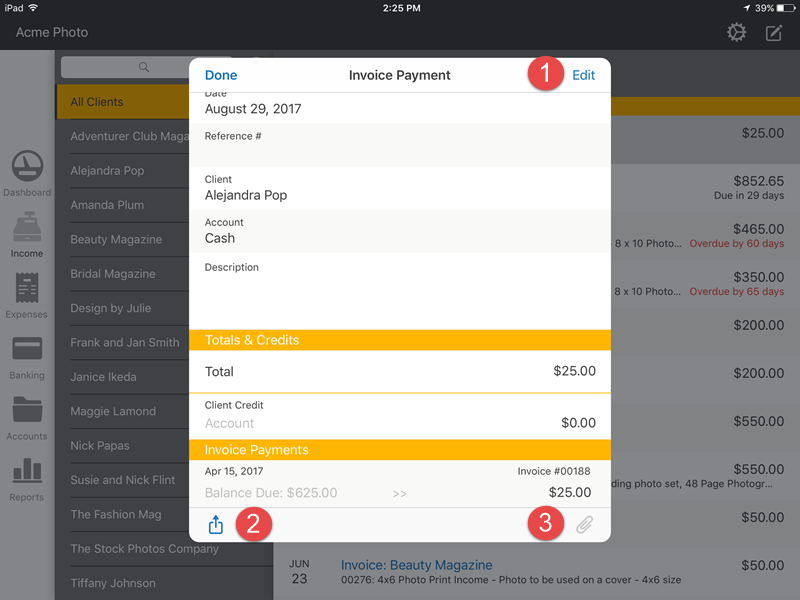 Learn how to enter invoice and bill payments in the iPad app. Choose the type of Payment, Invoice Payment of Bill Payment. 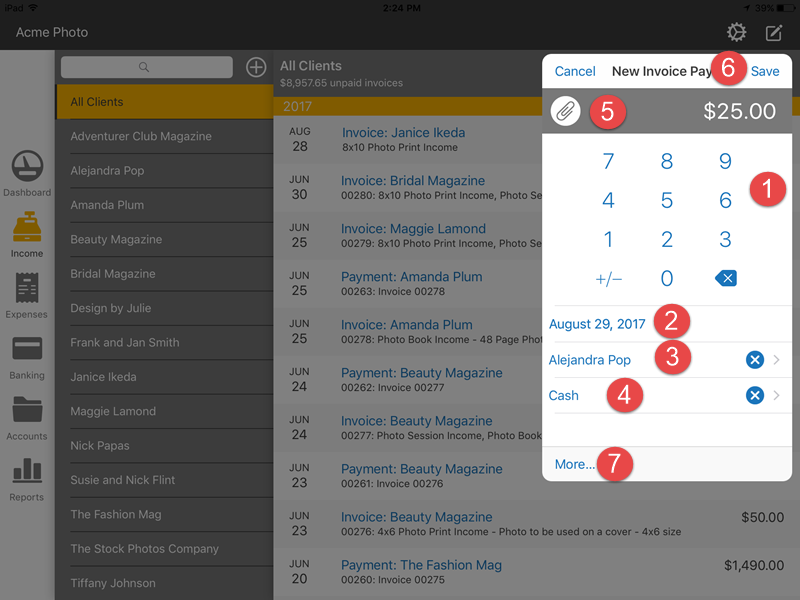 If you don't use the More button to add additional details, the payment will be automatically applied to the oldest outstanding invoices/bills first. 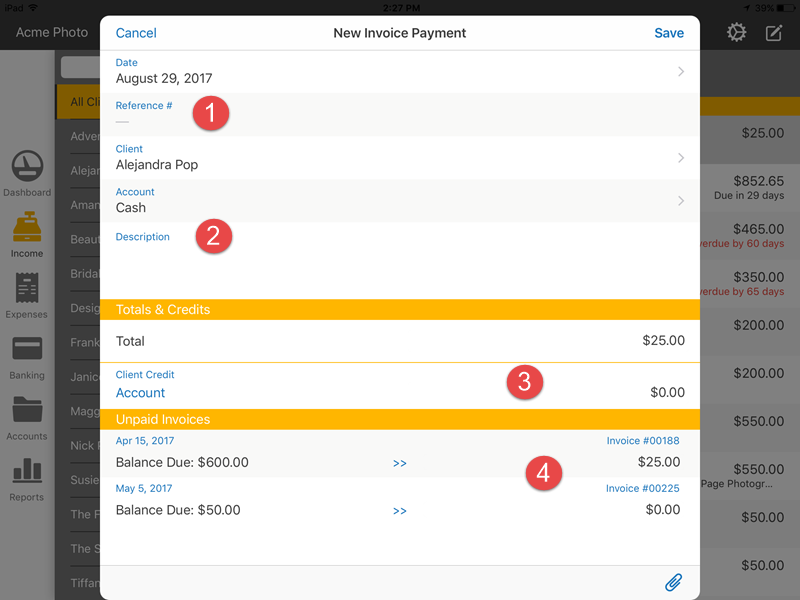 If there are no outstanding invoices/bills, the payment will be saved as a client credit/pre-paid expense that can be applied to future invoices/bills. 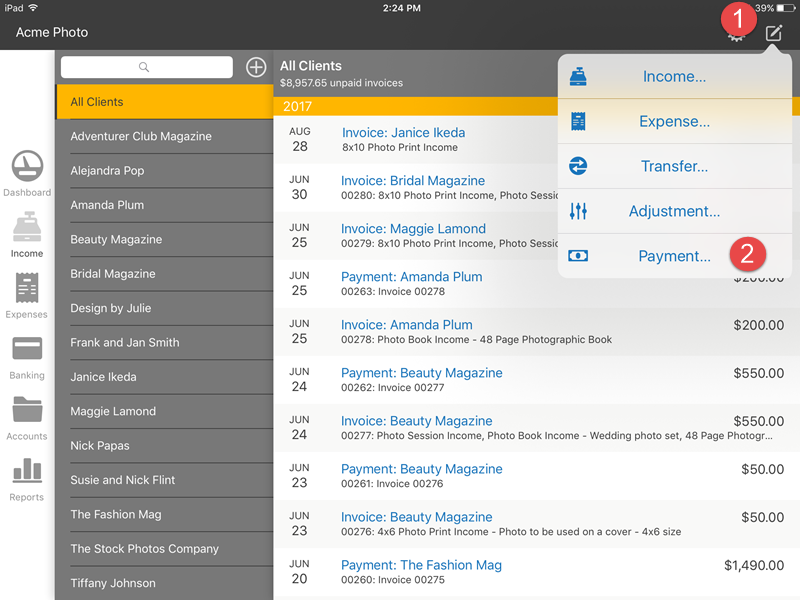 To see or edit a payment, tap on the transaction from the Income or Expenses page. 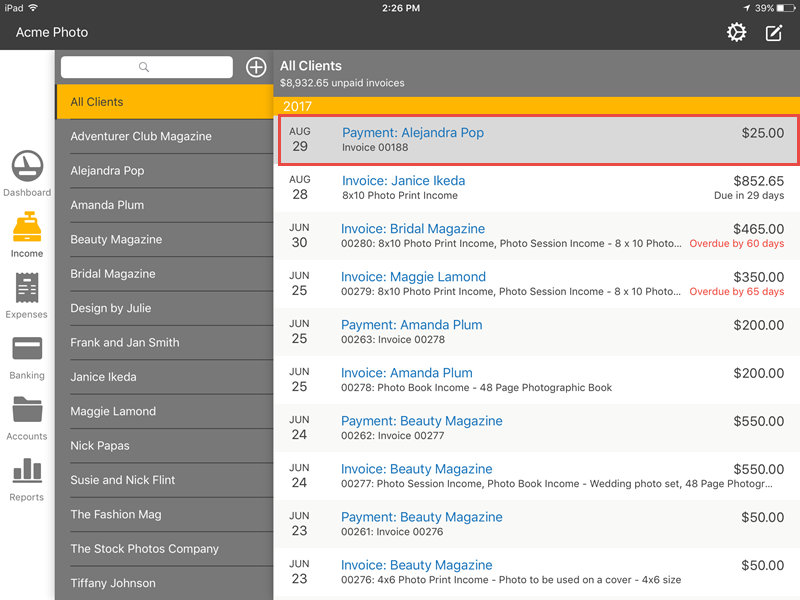 You'll see a detailed view of the payment, where you can see which invoices/bills the payment was applied to and any client credits/pre-paid expenses created.